What is the Dojo's Lineage? Toshitsugu Takamatsu was born March 1st, 1888. He is regarded to be the last combat ninja in history. He learned Togakure-ryū Ninpō Taijutsu (戸隠流忍法体術), Gyokko-ryū Kosshijutsu (玉虎流骨指術), Shinden Fudō-ryū Dakentaijutsu (神伝不動流打拳体術), Kotō-ryū Koppōjutsu (虎倒流骨法術), Gyokushin-ryū Ninpō (玉心流忍法) and Kumogakure-ryū Ninpō (雲隠流忍法) from his grandfather Toda Shinryuken. 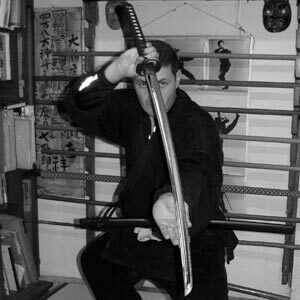 From Ishitani sensei he mastered KukiShinden-ryū Happō Bikenjutsu (九鬼神伝流八法秘剣術), Hontai Takagi Yōshin-ryū Jūtaijutsu (高木揚心流柔体術), and Gikan-ryū Koppōjutsu (義鑑流骨法術). From Mizuta Tadafuza he mastered Takagi Yōshin-ryū Jūtaijutsu. He lived in China for about 10 years, where he had many students. Takamatsu was a very well known master of Bojutsu and Jujutsu, not many knew that he was also a grandmaster of Ninjutsu. He passed away in May 1972, at 84 years old. Dr. Hatsumi is the Soke (grand master) of 9 ryuha (traditional martial arts schools) which were fully transmitted to him by Soke Takamatsu Toshitsugu. Hatsumi Soke offers his teachings via the Bujinkan Dojo, an organization that he founded in honor of Takamatsu Toshitsugu, his aformentioned teacher. Shown in front row, left of 33rd Soke Toshitsugu Takamatsu(in white). 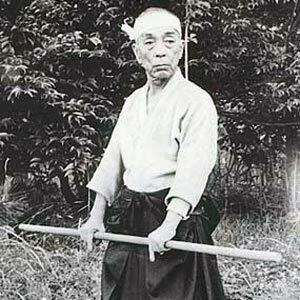 Shihan Tetsuji Ishizuka has been training with Hatsumi Soke since the 1960's. He is one of the original students who met Hatsumi soke's teacher, Toshitsugu Takamatsu Sensei. Kacem continues to travel the world giving lectures and seminars. He is currently living in Japan working as a university professor and researcher. His work in Japan is centered around the continued study of ancient, pre-Edo period ryuha (martial art traditions). Deshi (弟子) of Dr. Kacem Zoughari. Joshua Noro Polier is the main instructor at BHD. A native New Yorker, he has been an active student in the martial arts since he began training in Kodokan Judo at the age of four. 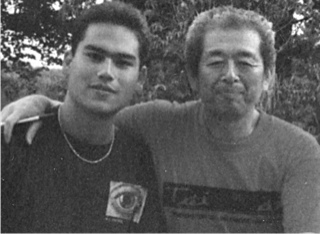 He has been training in the Bujinkan since 1991. 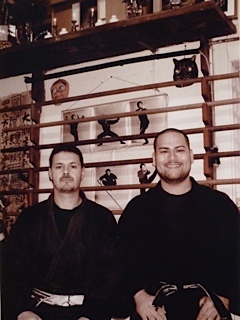 Joshua's experience of studying all over the world, under many instructors, has influenced and complimented his understanding of the Bujinkan art. His quest for the best instruction available has brought him all over North America, Europe and Asia. 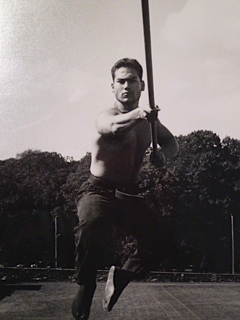 Joshua's first trip to Japan for Ninjutsu instruction was in 1992 for several months. He now travels to Japan for training about twice a year. Joshua received his Shidôshi Menkyo (teaching license) from Hatsumi Soke in 2000. In January of 2006, after 15 years of searching, he finally found who he was looking for, his Shishō(師匠), Dr. Kacem Zoughari. What are the nine traditions? 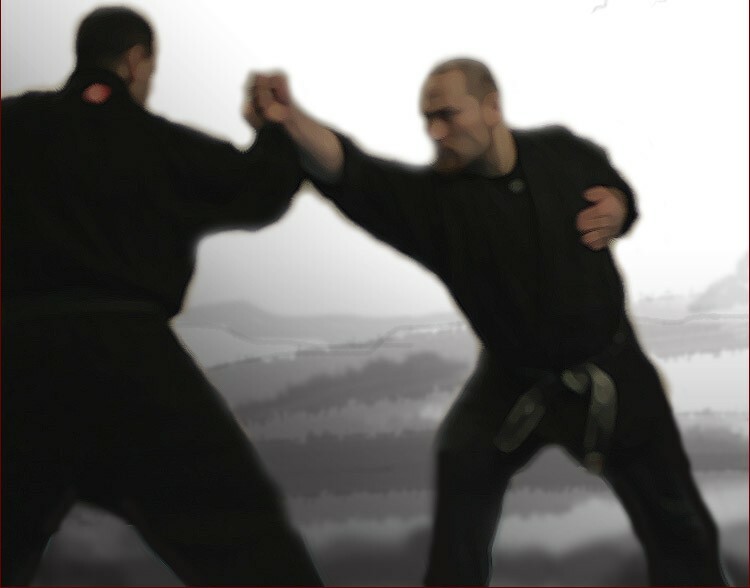 Incorporated within the Bujinkan system are nine ancient martial ryus, or traditions which have been passed down from generation to generation for as long as 1000 years. 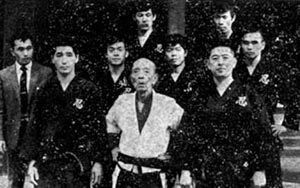 Under Soke Masaaki Hatsumi, these nine schools are taught as a collective and is called "Bujinkan Budo Taijutsu." Although three of these ryus are considered ninjutsu styles, the other six are traditional koryu (ancient martial ways) or samurai schools. Dr. Masaaki Hatsumi, the current Soke (grandmaster), inherited the authority and title as head of these nine ancient martial schools from his late teacher Toshitsugu Takamatsu. For those that are unfamiliar with the various schools in our organization, here is a brief description of the nine ryu ha (traditions). The second oldest of the nine traditions, this ryu forms much of the basis for the ninjutsu techniques taught in the Bujinkan. This system is famous for its use of such weapons as shuko and shuriken. 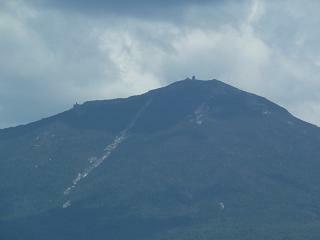 It was reportedly founded by Daisuke Togakure in the late 1100s. The oldest of the nine traditions, this style is heavily influenced by Chinese kenpo and is known for its koshijutsu attacks to muscles and soft organs, also using fingers and thumbs for ripping and tearing. Gyokko Ryu was originally founded by Cho Gyokko who was said to have fled China during the Tang Dynasty around 900 AD. This ryu forms much of the basis for the Bujinkan system including the kihon happo. This ryu is a battlefield style whose specialty is the use of many different weapons including spears, swords, hanbos, etc. Many of the weapon techniques (hanbo, bo, yari, naginata, etc.) in Bujinkan come from this school. Kukishinden Ryu was reportedly founded by Izuma Kanja Yoshiteru in the mid 1100's. This system specializes in dakentaijutsu (striking techniques), and jutaijutsu (hard grappling techniques). This was the first ryu that Takamatsu learned form his grandfather. This ryu was also founded by Izuma Kanja Yoshiteru in the mid 1100's, who also learned Chinese kenpo. 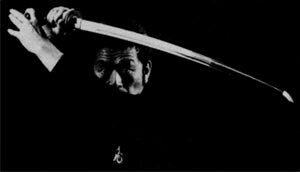 The second ninjutsu ryu in the Bujinkan system was founded by Sasaki Goemon Teruyoshi in the mid 1500's. Not much is known of this ryu except that it is an Iga ninja school and concentrated more on the espionage side of ninjutsu, rather than the fighting side. It is also known for its use of sutemi (sacrifice) throws. This style specializes in koppojutsu or bone-breaking techniques and is very linear in motion. This style was originally organized into a ryu by Sakagami Kunishige in the mid 1500s. The name of the school means to knock the tiger down with the tips of the fingers and historically, training started with striking sand and gravel, then larger stones for conditioning. This system specializes in grappling and throwing techniques similar to aikido and judo. However, unlike judo and aikido, this style makes it difficult for the opponent to use ukemi to fall or roll safely. This ryu is known as the "bodyguard school", and was founded by Takagi Oriuemon Shigenobu around 1650. This ryu was originally founded by Uryu Hangan Gikanbo in the mid 1500s and specializes in koppojutsu or bone-breaking techniques. This style is known for its low stances, with much of the footwork within the Bujinkan system coming from this ryu. The third of the ninja ryus, it uses similar taijutsu as Togakure Ryu, and is also known for double blocks and strikes This ryu originated with Einaizaemon Ienaga Iga in the mid 1500's. Are there competitions or tournaments in Bujinkan Budo Taijutsu? "There was a gathering of high-ranking karateka (karate practitioners) yesterday, and they were doing breaking demonstrations. Everyone was so impressed with the karateka stacking up to 20 to 30 roofing tiles then smashing the tiles with one blow. And so I thanked them. I told them that ninja would pick up the shards of the broken tile and throw them in their face, then kill them. I said that if they could not read that far, then they were not true martial artists and would truly die in a real fight. The room fell deathly quiet after that." Moreover, competition and tournaments are activities for feeding the ego. In Eastern philosophy, ego is the root of spiritual suffering. Thus, from an Eastern philosophical perspective, performing these ego-building activities is counter-productive to spiritual well being. Is Bujinkan Budo Taijutsu a spiritual martial art? "In the martial arts, as in the majority of the world's religions, the heart is very often compared to a mirror. All impurities must be removed from the mirror to reflect the mysteries. The effect of the gradual corruption of certain actions and attitudes on the heart resembles the slow accumulation of rust on metal. Thus, in the traditional martial arts, as in ninjutsu, asceticism is consequently compared to polishing. On this subject, Takamatsu Sensei wrote: "Each one, according to the measurement of his illumination, proportionally sees the invisible things with the polishing of the mirror of the heart. The more he polishes, the more he sees and the more visible the shape of the invisible things appear to him. This effort and this asceticism are in proportion to the inspiration of the practitioner. A man obtains only the fruit of his tribulation." "
At the Benevolent Heart Dojo, we train(polish) and train(polish) and train(polish) ... then we train(polish) some more. We do not focus on being spiritual or attaining some sort of enlightenment. By not focusing on spirituality and instead focusing on our Budo training, we can embrace the spiritual aspects of the martial arts. In this manner, students of this dojo are on the path to achieve the benevolent heart of a true budoka (martial student). Why is the school named: "The Benevolent Heart Dojo" ("BHD")? Are there separate classes held for beginners? We do not have separate beginner classes. 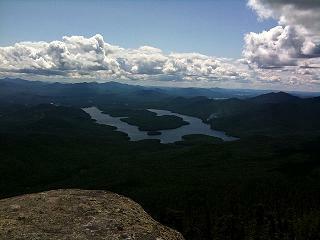 However ALL of the classes with the assistant instructors are recommended for beginners. At the assistant instructors classes you may find students of all levels. The lack of student separation is in effect an advantage for the beginner. Integration allows the beginning student to learn more, by having advanced students available as role models and as valuable experienced training partners. Instead of one teacher instructing a room full of new beginners, by having an integrated class of students of varied skill levels, a new student benefits from not one teacher but a room full of teachers. Furthermore, students in the Benevolent Heart Dojo are treated as individuals. Students receive individual attention unavailable at "Mc. Dojo's" (large commercial martial art schools & franchises). The main instructors classes are recommended for intermediate and advanced practitioners. However, beginners may participate in all of the main instructor's classes, except for those held at the "Private Dojo" location. There is one class, the BH Dojo "Getsuji Ninjutsu Kyoshitsu", which is unique. At this class you will find all of the dojo instructors and members, of all levels of experience, "under one roof." practicing together. What is the Getsuji Ninjutsu Kyoshitsu (GNK)(月次忍術教室)? Help the instructors follow the progress of all of the members of the Dojo. Help in maintenance of the dojo "esprit de corps". To further this end we will have an optional dinner/hang-out time after the gathering. Will training at the Benevolent Heart Dojo make me fit? TANREN: We have specific classes for conditioning. Attention to detail for these highly challenging classes is critical and to this end "Tanren" class size is limited to 4 students maximum. These conditioning classes are labeled "Tanren" on the dojo schedule. When a student reinforces their practice with "Tanren" they are on the path to attaining the functional flexibility and fitness necessary to becoming a master in Ninjutsu. How do I begin my experience at the Benevolent Heart Dojo (BHD)? Be aware that sincere practice, diligent learning, as well as quality instruction require both sacrifice and a significant investment in funds, time and energy. Please keep in mind, the BHD instructors encourage and focus their attentions on those who have demonstrated their long-term commitment to the BHD and to their individual practice. BHD instructors also generously give NEW participants who are enthusiastic, intelligent, benevolent, and are positive contributors to the group a lot of individual attention and encouragement. To be frank, there are many other martial arts programs, dojos and groups which provide training to anyone who can pay. If the above points don't strike a deep resonance with you then it's best that you continue your search within the multitudes of other options out there. Once you have filled out an application please be patient. We are not a commercial dojo and we look over applications about once a month, although sometimes we do so more or less frequently. Over the 20+ years of reviewing applicants and teaching candidate participants for the BHD, those who were impatient during the interview process never endured. This wait for a response itself is a simple and effective way of filtering out those who have little patience; as my Shishō, 師匠, has said: "On the battlefield, the only thing important is to be the last man standing." After you have filled out an application for participation and we have reviewed it, we will contact you to schedule your free visitors class where you can observe and participate in a class in progress. (We do NOT welcome walk-ins.) One of the questions on the application is in regards to the schedule and which classes you would hope to attend. Please provide accurate information as we will use this infoormation to help coordinate the free trial class. However, there is no guarantee that the information you provide is when we will be able to hold the free trial class. If repeated attempts to schedule a free trial class fail then this is a possible indicator of a lack of sincerity, a lack of available time for this new endeavor or a lack of essential time management skills. When you attend your free visitors class, please bring appropriate clothing for an active outdoor class or an active indoor class, depending on which you are scheduled for. You will be required to fill out a waiver or waivers and a hard copy application for participation. Enjoy your class and ask any further questions you may have. You will be given a copy of the new participant dojo payment options to keep. Decide if the BHD is the vehicle that you wish to begin your journey on and let us know. If you have gotten this far and are almost an official participant of the BHD, we will then add you to our class schedule and Google Calendar invitation list. Please RSVP for all classes that you will attend. Class invitations will often go out several days before each class. Please bring in the appropriate payment for the plan you choose on the first class you attend. In the future, please bring any payments to one of the GNK classes. At this point you are now a participant of the BHD. After 6 months to about one year of steady practice and attendance you may be ready for your first rank test. If you are invited to take the test and you pass you will become a member of the BHD. These are the �black and white� steps of the beginning of your experience at the Benevolent Heart Dojo. What is your grading policy? When does one become a �member� of the BHD and what are the changes and benefits of becoming a member? Grading is a tool for measuring a student�s progression and to help the student monitor their own progress and goals. There is usually one testing period a year. Students are not required to test however it is highly recommended that they do so. New participants, with no rank, wear a white belt and have no official rank in the Bujinkan organization. Upon conferment of an official Bujinkan rank, usually a "kyu" rank, a participant becomes an official member of the Benevolent Heart Dojo. After the bestowal of rank, the new BHD member will no longer choose their own participantion plan but will have responsibilities to maintain active membership in good standing. Please inquire in person about these responsibilities. Admittance to classes held at the private dojo in NoHo. Reduced rates on Healing Arts. Please inquire in person about the discount. Reduced rates on private lessons ie:Healing Arts - Non-Massage and special conditioning sessions, and occasional free training sessions. Please inquire in person about the details. The opportunity to visit, stay and practice at Ishizuka Sensei's Dojo in Japan, as a representative of the BHD. Complimentary access to the Getsuji Ninjutsu Kyoshitsu(月次忍術教室). Complimentary invitation to the Nenkai Ninjutsu Gashuku(年会忍術合宿). What is the Nenkai Ninjutsu Gashuku(年会忍術合宿)? Taijutsu & Weapons- Kenjutsu, Bojutsu, Yarijutsu, Shurikenjutsu, Jojutsu, Hanbojutsu, Teppoujutsu ETC. 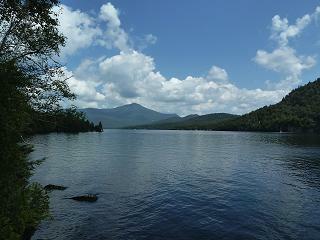 Additionally there is the opportunity for hiking, swimming, canoeing and other outdoor activities. A physician's examination report shall be required. Specifically, individuals with mental illness, drug addiction, or mental instability shall be barred from joining. The necessity of such a report concerns individuals who may present a danger to others, for example, those with infectious diseases or illnesses, individuals with clinically abnormal personalities or physiology, and individuals lacking self-control. Individuals with criminal records shall be turned away. Troublemakers, those who commit crimes, and those living in Japan who break domestic laws shall be turned away. All those joining the Bujinkan must get an annual member's card. This card not only preserves the honor of the Bujinkan members, it indicates you are part of a larger whole - one whose members come together with warrior hearts to better themselves through training and friendship. It evinces the glory of warrior virtue, and embodies both loyalty and brotherly love. To recognize sadness and worry as natural, and to seek the immovable heart. To not stray from the path of loyalty and brotherly love, and to delve always deeper into the heart of Budo. To follow this code is part of the dojo's guidelines. The eleventh to fifteenth dan are broken into Chi (earth), Sui (water), Ka (fire), Fu (wind) and Ku (emptiness); the Happo Biken will be taught at these levels. The fifth dan test shall only be administered by Soke. True Shihan can be given fifteenth dan. What does it cost to train at the Benevolent Heart Dojo and what do I do if I would like to participate or observe a class? Bujinkan Dojos in Japan do not put their tuition/membership fees on-line. This isn't supposed to be a commercialized art and may be considered poor taste to list rates online. However, if you fill out the contact form or an application for participation we will contact you with more pricing information and/or arrange for you to view a class. Please be patient for a response. are willing to make sacrifices for their own progress and the betterment of those around them. will not settle for mediocrity. can dedicate a significant amount of time to their martial arts training. are open minded and able to "empty their cup". upon being ranked, are able regularly able to attend the monthly BHD Getsuji Ninjutsu Kyoshitsu. (over the age of 17 although exceptions have been made for highly mature youths with guardian approval). (and most importantly) have a good heart. If this sounds like you, then you may be a good candidate to become a participant at the Benevolent Heart Dojo. Please keep in mind, our dojo is a small tight-knit group, much like a family and, following in our teachers' footsteps, we only accept sincere and trust-worthy individuals. If you think you will make a good participant at the Benevolent Heart Dojo please fill out our Application for Participation and we will get back to you as soon as possible. Private lessons are available by request. All privates are taught by our main instructor, Shidôshi Joshua Noro Polier. Basic rates can be found in the "Healing Arts - Non-Massage" section of the website. For learning a third person can be very helpful in order to observe the techniques from a third person perspective. If students are interested, private lessons can be coordinated so that two or more students are able to take lessons together. * Please check with your physician if you are unsure of your athletic abilities, are overweight, or if you have heart or other health problems. By nature, as with all martial arts, Bujinkan Budo Taijutsu is dangerous. Although every effort is made to prevent injuries, Bujinkan NYC Benevolent Heart Dojo is not responsible for injuries or accidents that occur during training.